When I think about the concept of firsts, especially when it comes to fathers understanding their daughters with more precision, I want to highlight what a big deal “firsts” are for us as girls. To prove my point, you could ask any adult woman when she had her first crush. She’ll immediately tell you because that memory is frozen in time and available for fast recall whenever prompted. Ask her about her first kiss, her first dance, first prom, or first breakup. They’re all filed away. Now let’s change it up a bit and address more than just romance or heartbreak. You could ask about her first job, her first paycheck, first car or first bad grade. Yep … all stored in the vault. Here’s how I see it: If your daughter is wired to remember firsts, then why not capitalize on that reality by being the first to do it right and get it right … all en route to her heart. Be the first to tell her you love her every single day, so she never has to wonder if you do. Be the first to choose kindness because it’s a virtue you want her to exemplify. Be the first to set the bar high in modeling what a good man looks like so all other men will be compared to you. Be the first to tell her you’re sorry. Be the first to show her that strong men can cry. Be the first to model what humility looks like. Be the first to write her a note telling her what you find special about her. Be the first to take her on an adventure. Be the first to buy her a “just-because” treat. Be the first to take her out for an extravagant meal. Be the first to wipe her tears and hold her in your arms when her life goes sideways. Be the first to listen rather than lecture. Be the first to “hold her anger” without reacting harshly in return. Be the first to initiate deep conversations about spirituality, God, faith, politics, goals, and even your life growing up. Be the first to model a healthy spiritual life so she can follow your example. Be the first give of your time and energy to serve her. Be the first to invest in launching her dreams by funding a project she is passionate about. Be the first to applaud her successes from the front row. It’s the best way to show her what love looks like when backed by action. Better yet, she’ll relate to all other men based on what she experiences with you. Dad, you get to lead the way in loving your daughter first, and you can start by choosing one thing in the list above to do today! 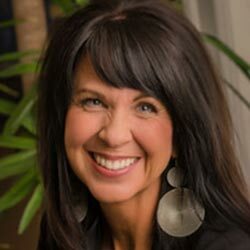 Dr. Michelle Watson is a licensed professional counselor in Portland, Oregon, founder of The Abba Project, a 9-month group forum for dads of daughters (ages 13 to 30), and author of Dad, Here’s What I Really Need from You: A Guide for Connecting with Your Daughter’s Heart, available on Amazon, Audible, and many other places. She also hosts a weekly radio program in Portland called The Dad Whisperer, which you can access as a podcast on her website and on iTunes. Visit drmichellewatson.com for more information and to sign up for her weekly Dad-Daughter Friday blogs. You can also follow or send feedback on Facebook and Twitter.